Grab your calendar and mark off Thursday, October 25th for our annual celebration of fall – SDK’s Annual Oktoberfest! 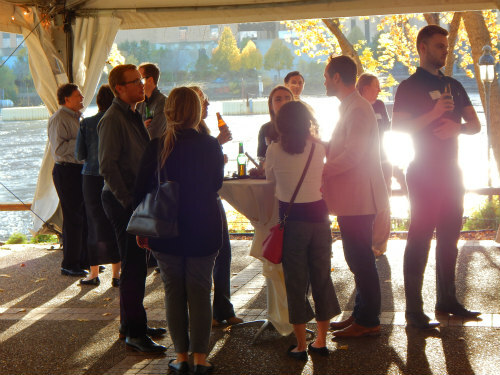 Held again at the Nicollet Island Pavilion, a gorgeous location, especially in the fall, we’ll be trying local beers, garnishing five kinds of sausages with an assortment of mustards, and of course taking on the challenge of the hammerschlagen! Grab your colleagues and get ready for some great fall networking.